Today Superior Seals supported at a careers convention at Bournemouth School; the event and programme encompassed various careers topics and general employability advice. Ashleigh Baker presented to students on what it’s like “Being a Superior Apprentice”. Feedback from students and parents was extremely positive. On the 4th and 5th of November Apprentices Mean Business ambassadors represented the network at two launch events for the Dorset Young Enterprise. Ellie Fermor from Bournemouth and Poole College and Jamie Arnold from Superior Seals spoke about their experiences as apprentices to a group of thirty students from local schools. The Young Enterprise scheme focusses on teaching students true business skills and they’ll be mentored by local business men and women over nine training sessions. Today Superior Seals supported a careers convention at Queen Elizabeth School. Students and parents were able to get a real insight into what engineering is all about, the feedback from those that attended was amazing! Today two ambassadors, Charlotte Coleman from Bournemouth and Poole College and Susanna Perkins from Superior Seals spoke at “I’m Hired Day” an event at Corfe Hills School. The day was to help students in Year 13 with alternative options to university. The ambassadors were talking about their apprenticeship experiences, a normal day and the qualifications being gained. The students seemed interested about apprenticeships and asked some insightful questions after some encouragement. Today Superior Seals supported a careers convention at the Glenmoor and Winton Academies. The event was very well attended by students and parents with lots of interest being shown in apprenticeships, particularly in the engineering sector. Extremely positive feedback with many prospective apprenticeship candidates! Bring on next years intake!! Today Susanna Perkins apprentice ambassador from Superior Seals presented “Chemistry at Work” at Bournemouth and Poole College. She presented to groups of year eight students from various schools around the area. The session presented by Susanna was about polymer science but there was a wide variety of sessions from making ice-cream to bath bombs. The feedback from students and teachers has been really positive, the event was a big success!! Today Superior Seals attended the second Big Bang event hosted by Bournemouth and Poole College (STEM Centre). The event encouraged employers to promote science, technology, engineering and maths to school children in short ‘hands on’ sessions. Superior Seals took Lego Mindstorm Robots, this allowed the children to learn basic programming and expand their thinking; all the children successfully completed a “mini” course and won a trophy! The event was very popular and hopefully inspired some young engineers of the future. Today Superior Seals apprentice Jamie Arnold represented the network at Ferndown Upper School. Jamie was promoting engineering apprenticeships as great career route and shared the opportunities available at Superior. Students and teachers were curious to ask questions about the life of an apprentice. Today two Ambassadors, Susanna Perkins and Ashleigh Baker from Superior Seals attended the women in engineering conference at Bournemouth and Poole College. The afternoon was very successful in highlighting the importance of engineering in today’s society and the need to encourage young women into technical based careers. The attendees comprised of local female teachers, STEM ambassadors and business representatives; all who attended were extremely enthusiastic and keen to support future women in engineering. Whilst at the conference Susanna and Ashleigh discussed their apprenticeship scheme and what benefits and opportunities it’s offered them. Today two Ambassadors presented their higher apprenticeship experience to a hundred year twelve students of Bourne Academy at Bournemouth University. In what was a challenging session, Ben Lane from Ultra Electronics and Susanna Perkins from Superior Seals demonstrated the possibilities of what young people can go on to achieve; a very useful session for the young people who attended. It’s the last week to enter The National Apprenticeship Awards 2014! 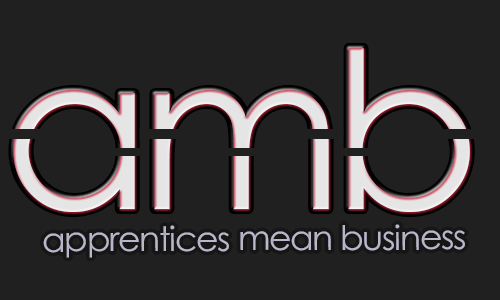 The Awards recognise both excellence in businesses that grow their own talent through Apprenticeships and the apprentices who have made a significant contribution to their workplaces. The closing date for entries is Friday 28 March 2014 at 5.00pm. Click here to enter! Ready for National Apprenticeship Week! Today Superior apprentice Adam Cook represented the network at Ferndown Upper School. Adam presented his experience of a manufacturing apprenticeship to students and parents attending the event. The event also saw the launch of the new Ferndown Apprenticeship Club. Today ambassadors from Sunseeker, Superior and Cobham presented to Head Teachers from various Dorset Schools at Kingston Maurward College. The event was highly productive and was based around the importance of teaching STEM subjects in schools. Today the network represented at a careers evening at Bournemouth Collegiate School, the event was well attended and pupils found it very useful.